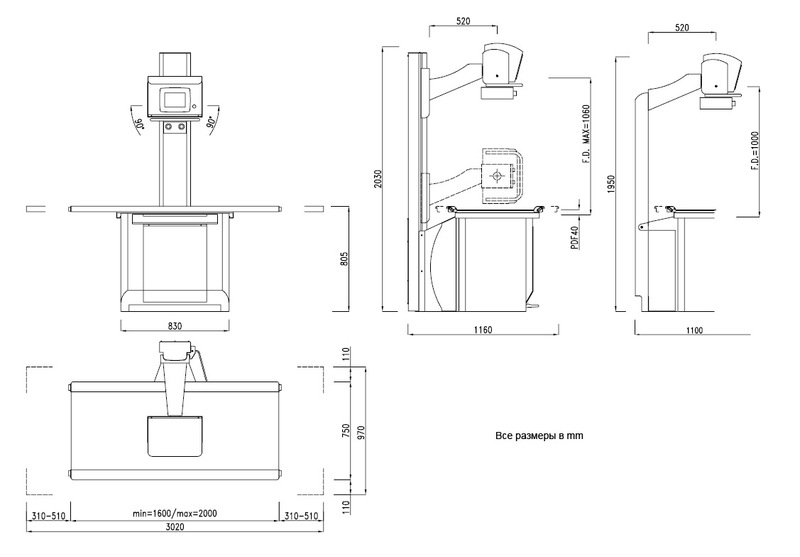 X-ray system for veterinary Simply (Italy) designed for using in X-ray rooms in veterinary clinics. X-ray system Simply is well-recommended in vet clinics in Europe. 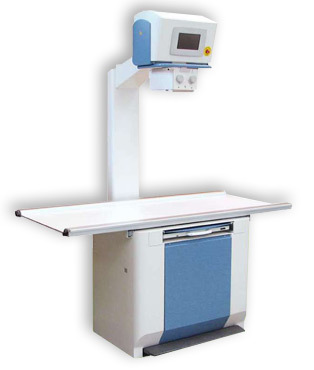 The compact design allows using X-ray systems in a minimum area of X-ray room. System has a very friendly user interface. The control panel is in the form of a liquid crystal, color 7" touchscreen console. User menu is divided into two types of animals (e.g. dogs and cats), three different sizes of the patient. Each animal on the control panel is represented by 8 anatomical areas of 1,000 test programs of each research area. In the X-ray system Simply uses high-frequency generator-monoblock from Italian firm PSM with capacity of 30 kW. X-ray tube with a rotating anode with a focal spots of 0.6 mm / 1,3mm applies in monoblock. This equipment allows you to perform all the standard types of radiographic researches. may increase the table deck up to 2000 mm. System uses a collimator with manual collimation.